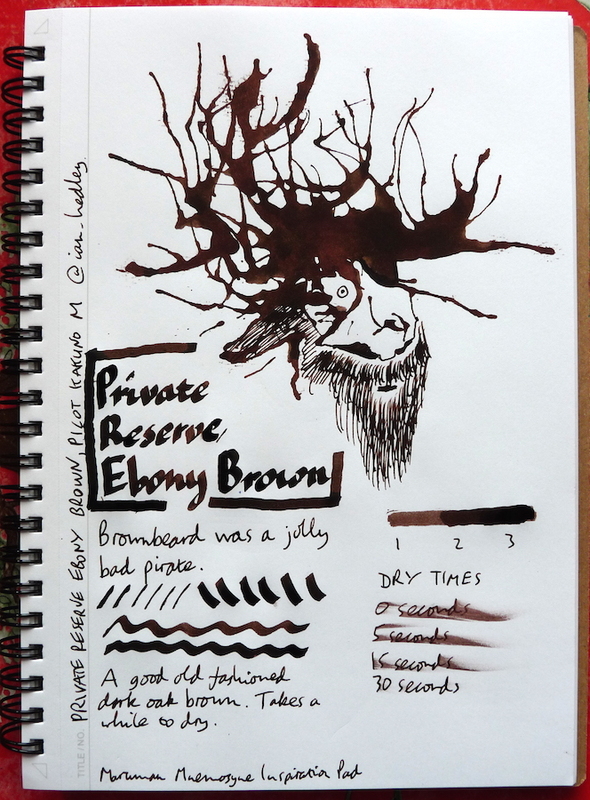 Private Reserve Ebony Brown Ink Review – Pens! Paper! Pencils! This ink reminds me of old oak furniture in that old country house you got dragged to when you were little, but without the musty smell. I love browns so much. How smooth is it, and does it flow wet or dry? It’s fairly wet and fairly well lubricated but not overly so. 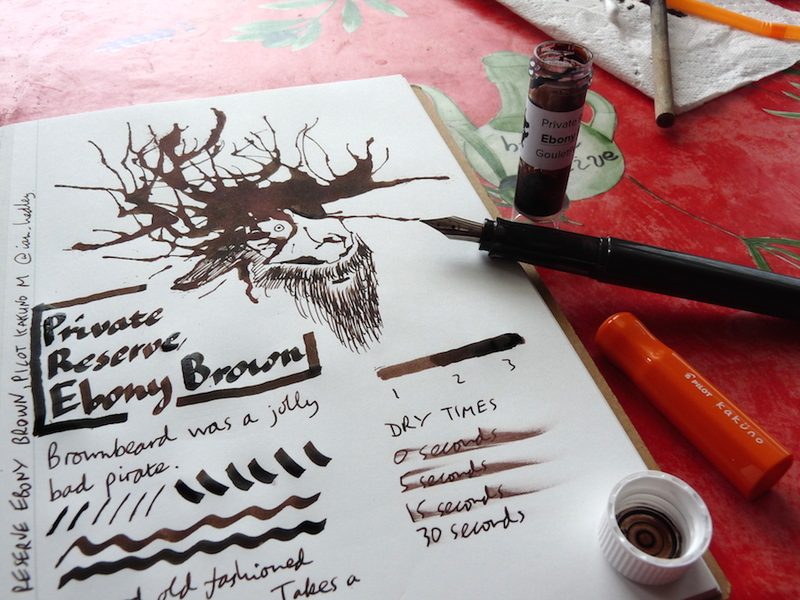 A pretty good well-balanced ink, in my experience with it.